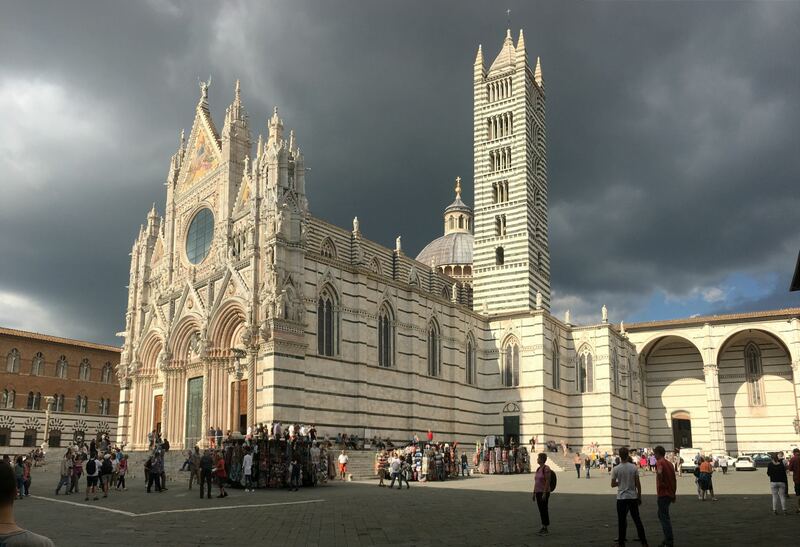 Winding stone streets with green shuttered houses, delicious ragù tagliatelle and cappuccinos, the stunning Piazza del Campo, the sweeping panoramic view from Torre del Mangia, and the elaborate marble of the duomo make Siena a historic day out. 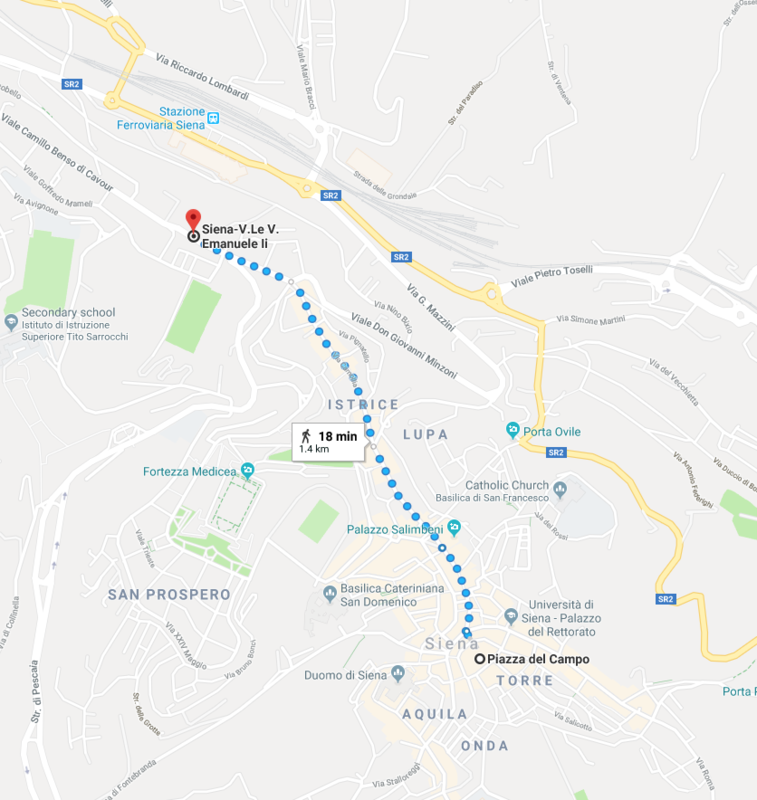 You can actually get a bus all the way from Florence to Siena for as little as €5, and it takes the same amount of time as the train (an hour and a half), but we decided not to do this as I often get travel sick on bus journeys. The train leaves Florence from Firenze S. M. Novella, where you can buy your ticket from any of the self service machines on the day you travel (you won’t save any money by booking in advance). You can’t get an open return, so the best thing to do is just get your ticket back from the station at the other end. Just make sure you get your ticket stamped by one of the machines on the wall of the platform before you get on the train. 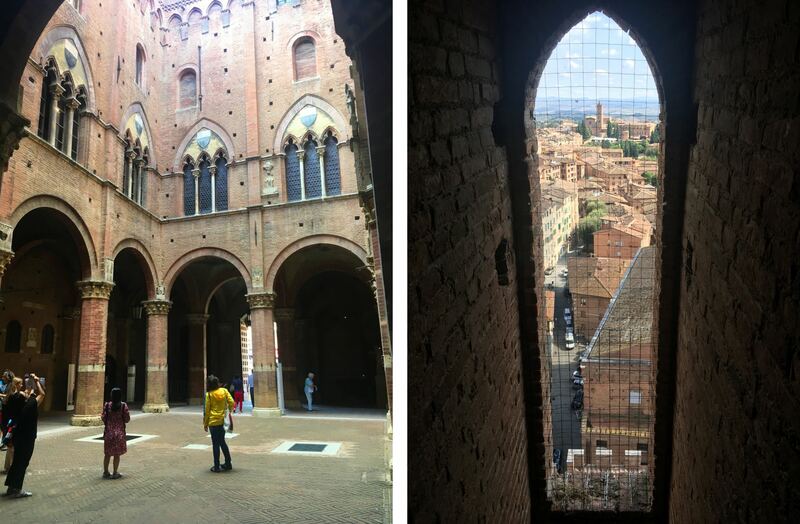 Left: The walk from the station into Siena. 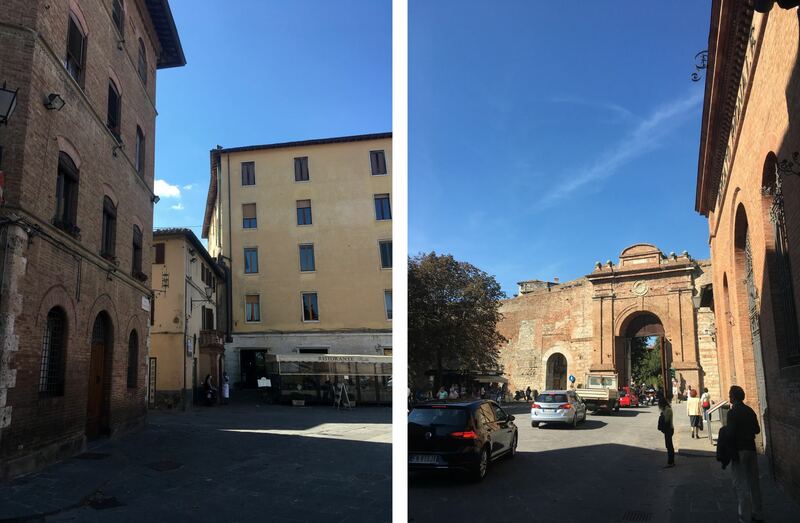 Right: Porta Camollia into the historic centre. To get into town you can get a bus all the way into the middle of the historic centre, or you can get a series of escalators up the hillside from the shopping centre opposite the train station, and from there it’s only a 4 minute walk to the Porta Camollia and then another 10 minutes or so into the centre. 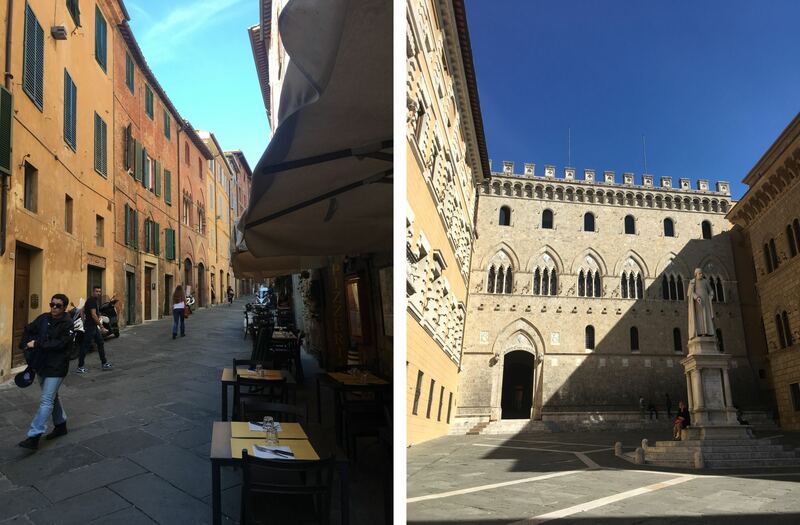 Siena is just beautiful, with narrow paved streets framed by warmly painted houses, feeling at once homely and historic. As a classic Tuscan hill town, even a slight break in the buildings gives you a sweeping view over the surrounding countryside. The story goes that Siena was founded by Senius and Aschius, the sons of Remus and nephews of Romulus (the founders of Rome). According to legend, after Romulus murdered their father, they escaped Rome and established Siena, using the stolen Capitoline Wolf as the symbol for their new town. You’ll spot the statue of the wolf suckling two infants in front of the duomo. After walking through the streets we decided to have lunch straight away to fuel our planned climb of Siena’s famous tower, Torre del Mangia. Il Biondo was perfectly situated just off the main streets about halfway through town, with a lovely outdoor area so we could watch people go by. 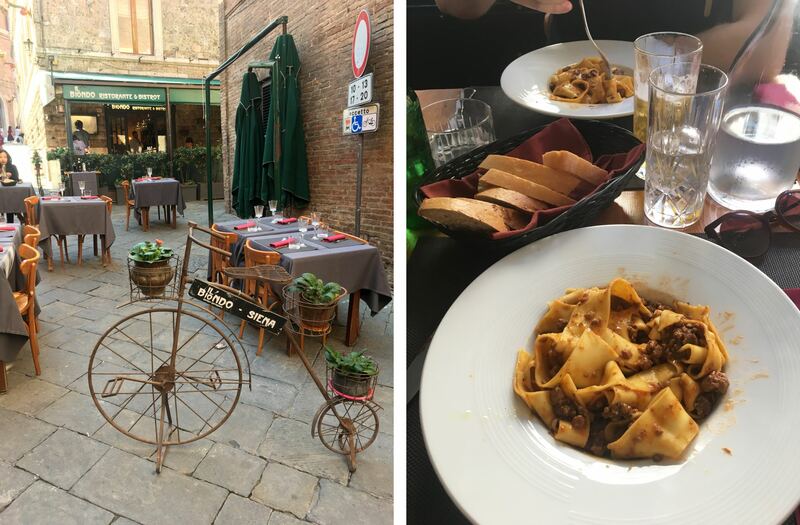 We both ordered wild boar ragù with thick freshly made tagliatelle, and it was some of the best pasta we had all week. For dessert we found Bar Pasticceria Nannini, an amazing pastry shop on the street right near Piazza del Campo which is apparently nothing short of a local institution, dedicated to preserving typical Sienese recipes such as ricciarelli, panforte, panpepato, cantucci, and cavallucci. Left: Cappuccinos from Nannini. Right: Delicious Sienese pastries. 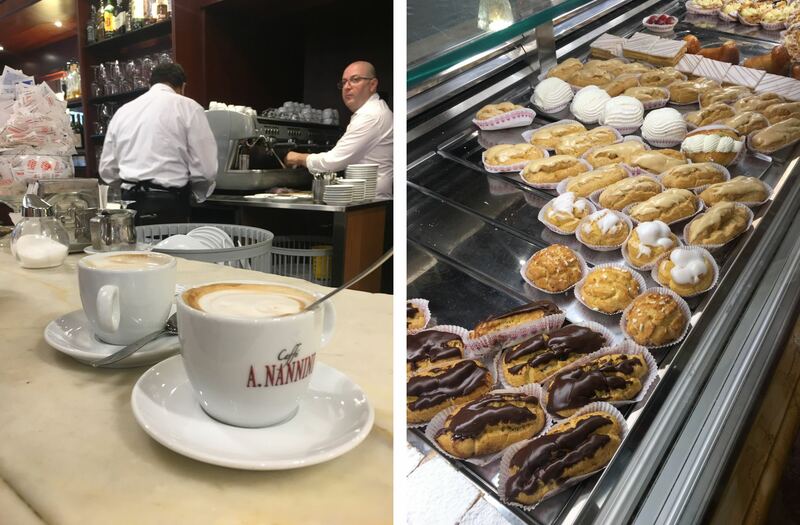 The trick to ordering in Nannini is to head straight to the pastry area and order your coffee and pastry from the till there, then take your receipt round to the bar and have your coffee made. We agreed at the end of the week that out of all the delicious cappuccinos we enjoyed on our holiday, this experience as a whole was the most memorable. The shell-shaped Piazza del Campo is nothing short of breathtaking. You will literally gasp as you descend the stairs at the edge of the square and emerge from the close knit buildings to see this open space. Left: Costa Barbieri, the steps with the best view of the piazza. Right: Sansedoni Palace. The Piazza used to be the marketplace for the three towns on the hillside that originally merged to form Siena. 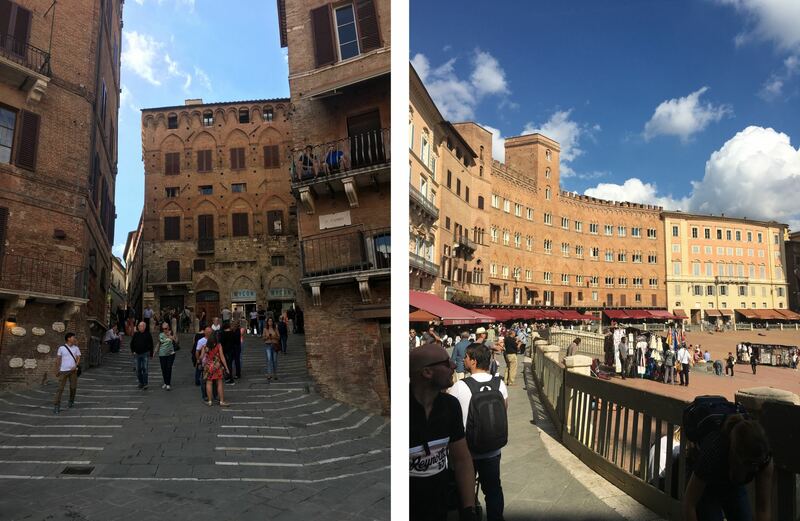 Nowadays the sloping square is one of the most visited sites in Europe, surrounded by restaurants, and hosts the bi-annual horse race Palio di Siena. Panorama of the whole piazza from Costa Barbieri. The Palio sees ten horses and riders, each dressed to represent ten of the seventeen contrade, race around the piazza which is thickly layered with dirt for the occasion. They lap the piazza three times which only takes 90 seconds, and the dangerously tight turns mean the jockeys often get thrown off their horses. Standing in front of the Fonte Gaia. 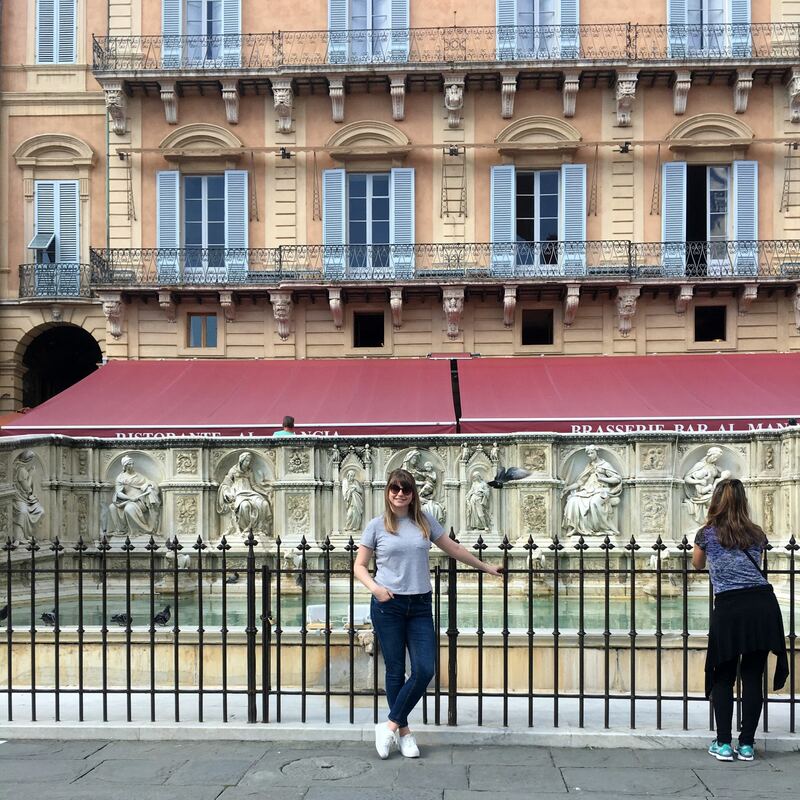 The piazza also has the Fonte Gaia, a 15th century fountain built as an endpoint of the elaborate underground water system serving the city. The white marble basin is elaborate carved, completely unique, and of course full of coins. The 102m tall Torre del Mangia was built in 1338 to be exactly the same height as the duomo, symbolising that the church and state had equal power. The pale marble loggia wasn’t added until 1352, designed as a tribute to Virgin Mary by the survivors of the Black Death. 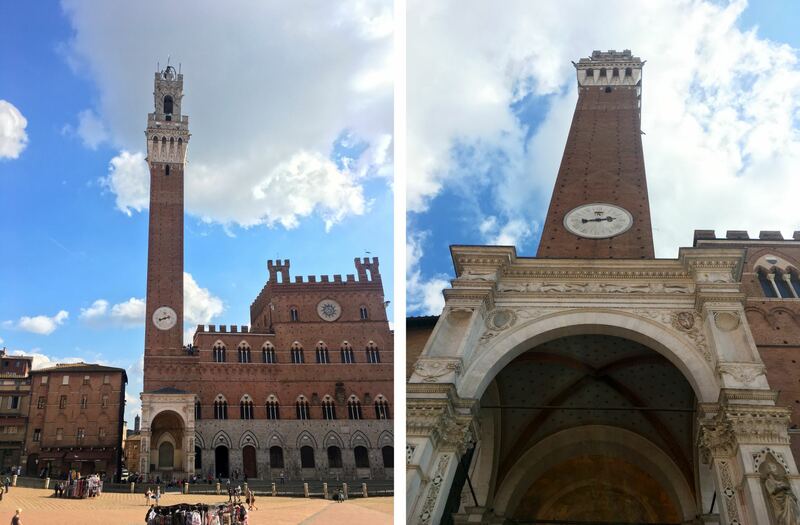 The Torre del Mangia sits next to the town hall. To climb the tower you need to go into the town hall to buy tickets, then once you’ve climbed up to the top of the town hall itself to get to the tower, you have to store your bags in lockers. It’s not clear whether this is for security or because the staircase is so damn narrow! Left: Inside the town hall. Right: The view from the staircase inside the tower. Since the tower in square shaped rather than round, the spiral staircase inside goes up in sections of 4 steps before each corner. The ceilings are incredibly low – I managed to smack my head twice. It’s too narrow to even pass another person going the other way, so the corners are handy for negotiating the traffic. 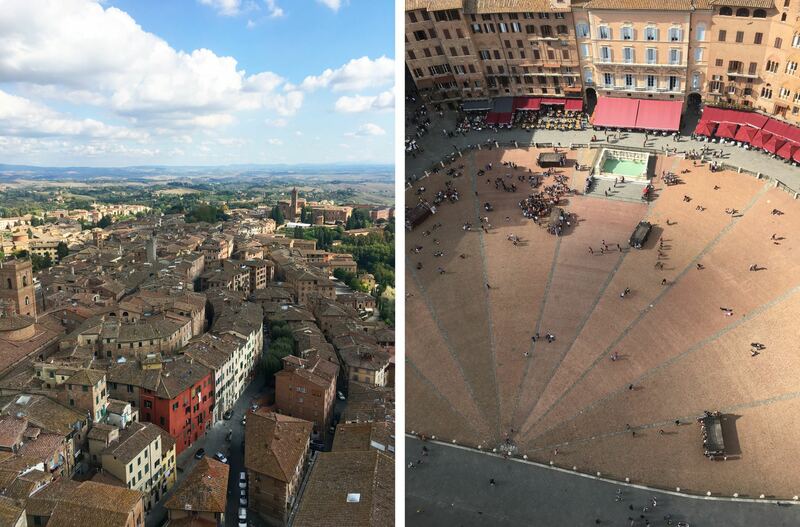 Left: The view over Siena from the top. Right: The view down into the square. Once you get to the top there’s an incredible view over Siena and the surrounding country side, with Tuscan hills rolling off into the distance and the town itself hemmed in by the old city wall. The square shape of the loggia means you get a different view from each side, with the most striking being down into the piazza with the duomo nestled amongst the buildings behind. 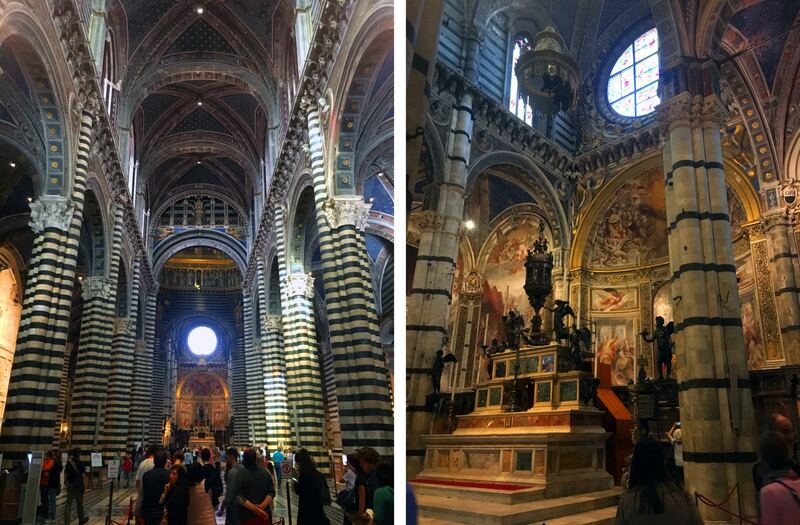 The Siena cathedral or Duomo di Siena is easily one of the most impressive buildings I’ve ever seen. The stripes and elaborate facade reminded me of the cathedral in Orvieto, but on a whole other level. Panorama of the cathedral from the Piazza del Duomo. To get inside you need to buy tickets from the tourist office in the corner of the Piazza del Duomo. 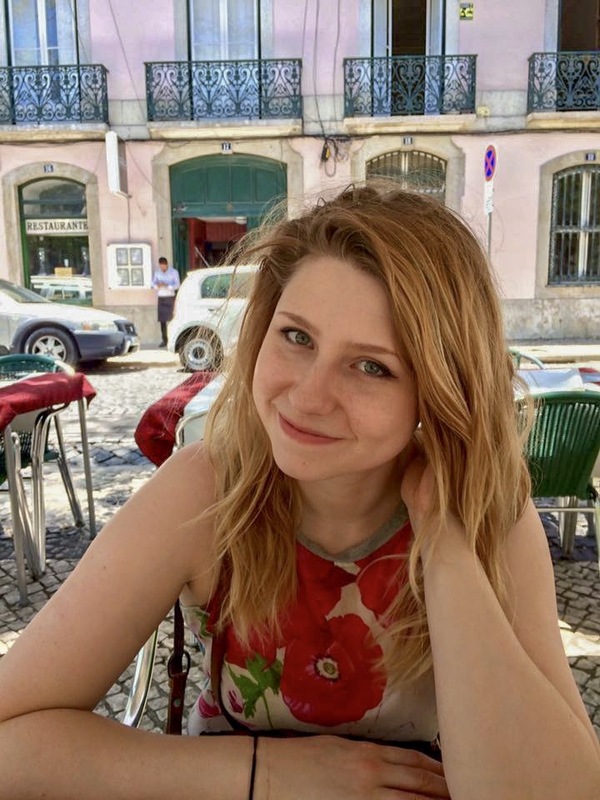 The system is quite complicated, with different prices for different seasons, and different packages depending on whether you want to see the crypt and museums. We just wanted to see inside the cathedral, so we got the most basic tickets for €8 each. Inside the cathedral was pretty overwhelming. With striped pillars, starry ceilings, mosaic marble floors and frescos and sculptures in every chapel, there was a lot to see. Left: The nave and ceilings. Right: The altar and pulpit. Not to be missed are the bronze statue of St. John the Baptist, the Feast of Herod baptismal font and the bronze tombstone of Bishop Giovanni di Bartolomeo Pecci, all by Donatello. Also to be noted are the four sculptures in the lower niches of the Piccolomini altar by a young Michelangelo, which he didn’t finish because he got called to Florence to work for the Medici family. My favourite bit was the Piccolomini library, built to house precious illuminated choir books, decorated with beautiful frescoes telling the story of the life of cardinal Enea Silvio Piccolomini, “Siena’s favourite son”, who became Pope Pius II. The frescos are painted with a perspective that makes them look like windows or archways, the first dramatically depicting the first storm scene in western art. 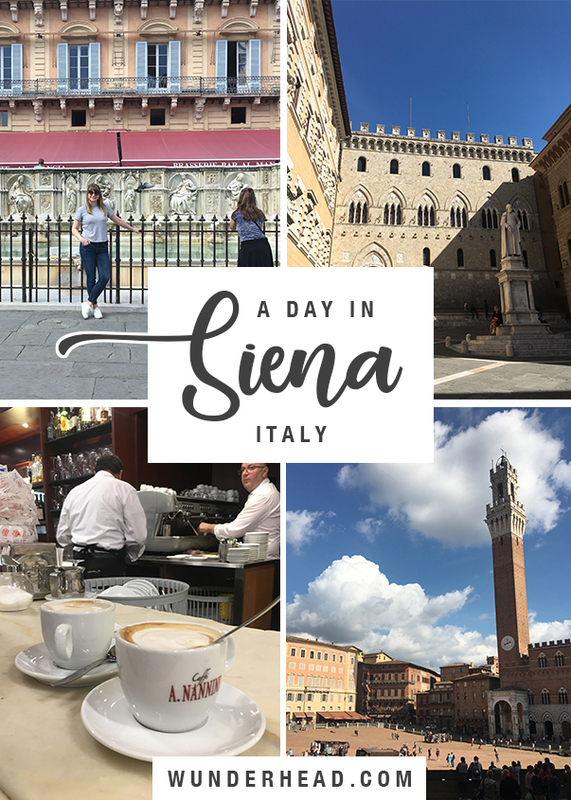 Our day to Siena was potentially our favourite day of the holiday. The tiny streets felt like they hadn’t changed in hundreds of years and the peace and quiet was a welcome break from the hustle and bustle of Florence. If you find yourself there I’d say my top recommendation would be the break in Nannini’s, and the view from the Torre was the best we saw all week.